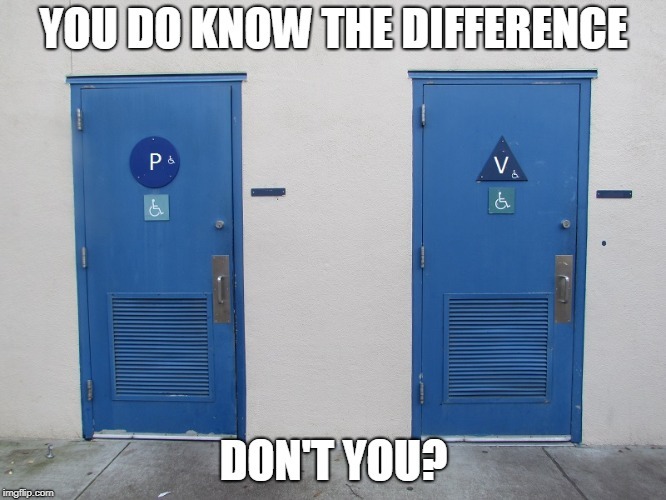 Anchorage Voters Defeat “Bathroom Bill” Requiring People to Use the Correct Public Bathroom for their Gender | Have Ye Not Read? Voters in Anchorage, Alaska just voted to defeat a bill that would have required men to use the men’s restroom, and women to use the women’s restroom, in public places. Folks, what you’re witnessing is the unfolding of Satan’s “magnum opus, or great work of synergy, which is to say, the mixing of opposites in order to transform society and create a “new way” designed to replace God’s way, and ultimately designed to estrange Father’s children from his eternal family household. Yes, the occultists, alchemists and Satanists believe that in mixing opposites – good and evil…capitalism and communism…conservatism and liberalism…humanism and spirituality…religious tradition and Bible doctrine…Christianity and other religions…God’s way and Satan’s way — a brand new “way” can be brought into play that will make all things “one” – this, in blasphemous replacement of God’s Plan for brotherhood among all of His children through Jesus Christ and His great atoning work on the cross at Calvary. Learn what this “mixing of opposites” (aka “knowledge of good and evil”) is all about, and how it relates to our Father’s plan to save His wayward children in the final days of this flesh earth age.